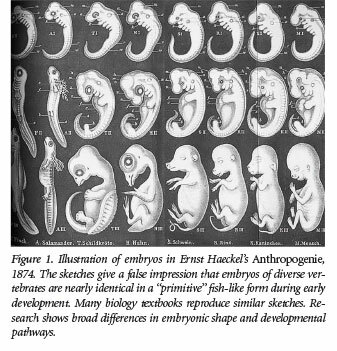 “Generations of biology students may have been misled by a famous set of drawings of embryos published 123 years ago by the German biologist Ernst Haeckel.”1 Science magazine is referring to Haeckel’s sketches of diverse animal embryos first published in 1874 (Figure 1). They report that Haeckel fraudulently minimized major differences between animals at the earliest developmental stages. This fraud is peculiar because it is being “rediscovered” by new research. Remarkably, Science notes that some embryologists of Haeckel’s day had doubts about the drawing’s accuracy, and his peers actually got him to admit he used “artistic license.” Yet these drawings (or similar reproductions) have been incorporated into nearly every major biology textbook ever since.2 So, unlike Piltdown Man, Archaeoraptor, and other evolutionary frauds that only temporarily duped everyone, Haeckel’s blunder misleads to this day. Thus, present biology students are still deceived by a complicated tangle of misleading ideas that clever evolutionists regularly attach to Haeckel’s fraudulent drawings. I didn’t escape being misled. In 1975 my sophomore biology textbook referred to a drawing very similar to Haeckel’s. Like most students absorbing this information for their first—and possibly only—time, I was somewhat shocked by the incredible fish-like similarity of all early embryos…especially humans. The visual evidence looked undeniable. 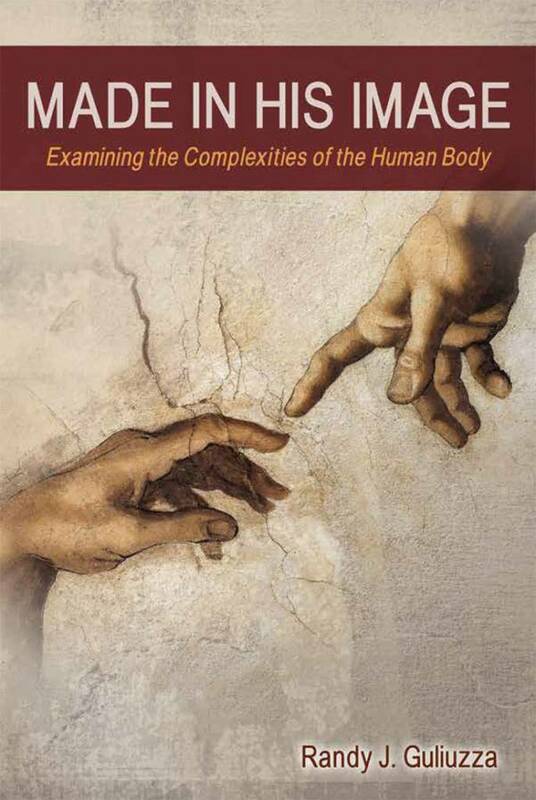 Second, as my textbook went on to say, “Human and fish embryos resemble each other because human beings and fish share a common remote ancestry.”3 It presented the remarkable similarity of the embryos in the illustration as strong evidence for a universal common ancestor. Third, a synopsis of the evolutionary history of life on Earth emerges as scientists map out all stages of embryonic development for every species. Remarkably, the stages of embryonic development for organisms, called ontogeny, supposedly reenacted or “recapitulated” their evolutionary history through time, which was called their phylogeny. Haeckel’s embryos were clearly time-lapse pictures of evolution itself. As a student, I implicitly accepted concepts built from Haeckel’s drawings as truthful. Belief in evolution seemed reasonable. Unfortunately, I was deceived by the picture’s and concept’s extreme misrepresentation of reality. Exposing Haeckel-like textbook drawings as fraudulent is important, but the story of deception is far from over. The concepts attached to them are even more misleading. Looking at the embryos in Figure 2, much of evolutionary embryology stands on the belief that folds in the neck region are truly gill slits and, for the human, that the long stretch of vertebral tissue is honestly a tail. Darwin appealed to that belief when he asserted that embryos “recapitulate” the adult stages of their ancestors in evolutionary history. He says, “It is highly probable that with many animals the embryonic or larval stages show us, more or less completely, the condition of the progenitor of the whole group in its adult state.”10 How can Darwin or other evolutionists see things like evolutionary progenitors or gill slits? Only by imagination. Darwin’s invocation of imagination into evolutionary scenarios legitimatized plugging colossal data gaps with evolution’s look-imagine-“see” methodology. Darwin visualized a bear evolving into a whale, a light-sensitive spot evolving into an eye, and embryos as reenacting their adult evolutionary progenitors. The history of evolutionism shows how advocates can simply look at bones from Piltdown England and see ape features in a human skull, or look at bones embedded in the soft tissue of a whale’s underbelly and see “whale hips,” or see “primitive” features in a living fish, or how Richard Dawkins can look at a human retina and plainly see that it’s “wired backwards.”11 All of these instances have turned out to be blunders because evolutionists simply project evolutionary ideas onto any given finding, and, via their fertile imaginations, clearly see just what they were looking for. Shouldn’t students be skeptical when they’re told that evolutionists can simply look at folds in embryos and see gill slits? The truth is that these are only folds of tissue in the pharynx region of vertebrates during the pharyngula stage of development. For mammals, birds, and reptiles, they never develop into a structure that is in any way like fish gills. In humans, for instance, this fold tissue develops into cartilage or bone for the jaw, inner ear, hyoid, and voice box. Muscles for the face, temple, and neck form out of them, as well as the thyroid, parathyroid, and thymus glands. No evidence exists that they ever resembled an adult fish or that throughout human history they lost the ability to form fish-like structures and now form new ones. 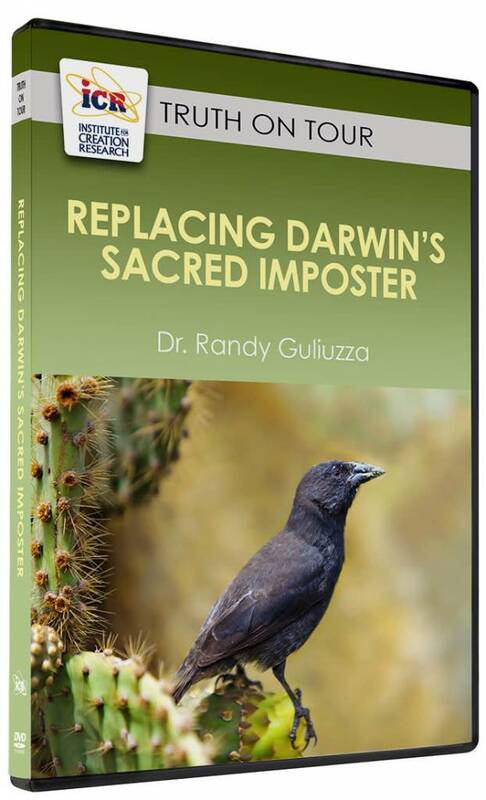 The human “tail” is another misnomer born of evolutionism’s look-imagine-“see” methodology. What we actually see through time are early precursors to the spine forming the axial skeleton (skull to coccyx). In a slightly lagging sequence, the rest of the embryo grows from head-to-rump on this foundational framework. So, when evolutionists see a lower portion of the axial skeleton where the embryo is yet to grow, they “see” a transient “tail.” In their imaginations, human embryos are recapitulating their reptilian past. But there never is a tail. The embryo grows down to its coccyx, which begins anchoring developing muscles of the pelvic floor. How much of the evolutionary story makes sense if human embryos never have gill slits or a tail? Watching a single cell assimilate resources and self-develop into an extraordinary creature should evoke a sense of awe for our Creator in any mind not blinded by naturalistic thinking. Ironically, unbridled imagination actually blinds some minds. As biochemist Michael Behe noted regarding Haeckel’s embryos, “The story of the embryos is an object lesson in seeing what you want to see.”18 But lest we overlook a beam in our own eye by focusing on others, we should examine whether we promote misleading evolutionary concepts or jargon that might have crept into our thinking unaware, thereby unintentionally helping the wrong side. Pennisi, E. 1997. Haeckel’s Embryos: Fraud Rediscovered. Science. 277 (5331): 1435. Luskin, C. What Do Modern Textbooks Really Say About Haeckel’s Embryos? Discovery Institute. Posted on discovery.org March 27, 2007, accessed August 29, 2016. Keeton, W. T. 1972. Biological Science, 2nd Ed. New York: W. W. Norton & Company, 550. Moore, K. L. 1989. Before We Are Born, 3rd Ed. Philadelphia, PA: W. B. Saunders Company, 70. Mayr, E. 2001. What Evolution Is. New York: Basic Books, 27-30. Richards, R. J. 2009. Haeckel’s embryos: fraud not proven. Biology and Philosophy. 24: 147–154. Richardson, M. K. et al. 1998. Haeckel, Embryos, and Evolution. Science. 280 (5366): 983. Gould, S. J. 2000. Abscheulich! (Atrocious!) Haeckel’s distortions did not help Darwin. Natural History. 109 (2): 42–49. Darwin, C. 1859. On the Origin of Species by Means of Natural Selection. London: John Murray, 395. Dawkins, R. 1987. The Blind Watchmaker. New York: W. W. Norton & Co., 93. Richardson, M. K. et al. 1997. There is no highly conserved embryonic stage in the vertebrates: implications for current theories of evolution and development. Anatomy and Embryology. 196 (2): 91-106. Also, Thomas, B. 2012. Do People Have ‘Gill Slits’ in the Womb? Creation Science Update. Posted on ICR.org July 20, 2012, accessed September 1, 2016. Thomson, K. S. 1988. Marginalia: Ontogeny and phylogeny recapitulated. American Scientist. 76 (3): 273-275. Richardson, Haeckel, Embryos, and Evolution. Guliuzza, R. 2015. Major Evolutionary Blunders: Evolutionary Predictions Fail the Reality Test. Acts & Facts. 44 (9): 17-19. Coyne, J. 2009. Why Evolution Is True. New York: Viking, 78. Emphasis in original. Behe, M. J. Teach Evolution—And Ask Hard Questions. New York Times. Posted on nytimes August 13, 1999, accessed September 28, 2016. * Dr. Guliuzza is ICR’s National Representative. Cite this article: Randy J. Guliuzza, P.E., M.D. 2016. Major Evolutionary Blunders: Haeckel's Embryos Born of Evolutionary Imagination. Acts & Facts. 45 (11).